California is only about two months into the legalization process. But to say that our path is full of roadblocks and red tape is the understatement of the century. One of the largest problems both businesses and consumers face is the patchwork of local bans preventing safe access. Out of the local municipal codes we’ve summarized so far, roughly 75% of municipalities have chosen to ban most, or all, cannabis activity–including delivery. This creates a huge challenge for both businesses and customers as they’re just beginning their journey into the legal trade. 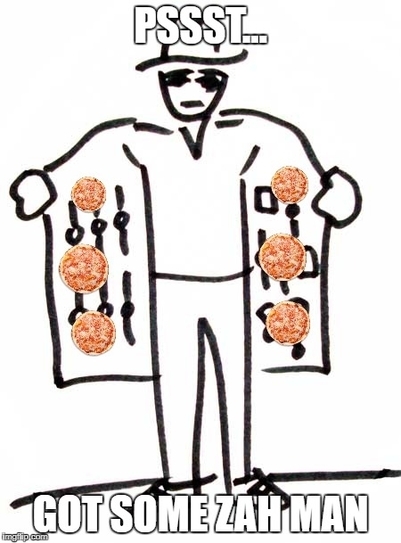 Imagine you’re opening a pizza delivery service in the midst of a “war on pizza.” It’s fattening and full of grease. Some even reason the food may be responsible for the plague of obesity sweeping our nation. It doesn’t matter that pizza was invented centuries ago with millions of healthy Italians eating it daily. We’ve got an obesity epidemic, so it must be the pizza. 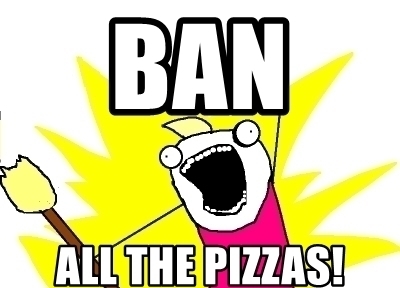 Ban all pizza! The amount of pizza that may be delivered. Whether the customers must have some sort of special doctor’s recommendation that allows pizza. If any paperwork has to be filed with local authorities before delivery. If delivery to non-residential addresses is allowed. Whether the customer is legally old enough to purchase pizza with or without a license. Then picture there’s no standard way to find these local regulations. In fact, some are so well hidden that even code enforcement and the police department can’s answer all of these questions. Worse, if you fail to find these restrictions, or can’t completely understand them as written, you could end up with fines or even jail time. Welcome to California’s cannabis market. This is exactly what delivery services face in this state. Although it’s perfectly legal to buy and sell cannabis, local governments are attempting to completely block their residents’ access to it. Worse, this misguided attempt to prohibit cannabis use inflicts a price far worse than our pizza analogy would. After all, no one ever died from lack of pizza; and it’s highly unlikely that anyone was ever gunned down for possessing black market pizza. 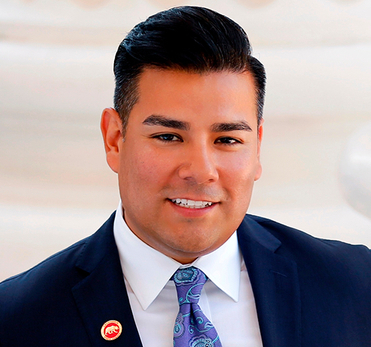 Senator Ricardo Lara (D-Bell Gardens) crafted a proposal, SB 1302, to solve this problem that’s pleasing a lot of activists and business people. It’s also likely to tick off the League of Cities and about 75% of the representatives he works with, so he’ll need some help. SB 1302 is a simple bill that changes the wording to Section 26090 of the Business and Professions Code. 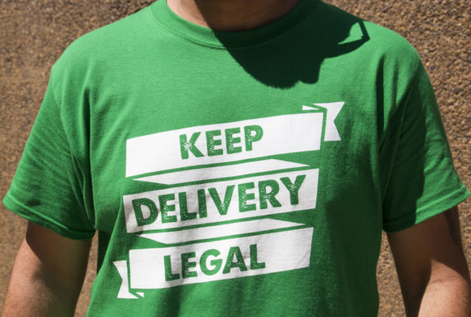 It allows any cannabis delivery service operating in compliance with their own local and state law to deliver to anyone in the state. When the people voted in favor of Prop 64, most were under the impression that businesses could already do this. This is because the wording was very confusing. But the law only protected a business’s rights to use local roads as they conducted business, not to deliver to customers. 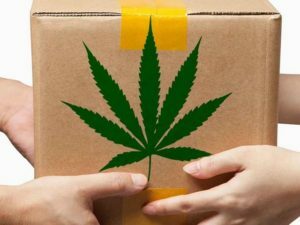 This meant that any local government could ban legal cannabis delivery within their borders, whether or not it constituted a violation of their constituents’ rights. SB 1302 fixes this oversight. As they say, no good deed goes unpunished–and writing legislation is far from an exception to that rule. So far, Senator Lara has no co-sponsors for SB 1302, and finding them may be difficult. Since so many municipalities are banning cannabis, the politicians representing those districts will be hard pressed to oppose the bill in the name of local control. These representatives work with their local county board and city council members on many other issues. They can be easily influenced to jump on the ban bandwagon, even if they personally support cannabis rights. 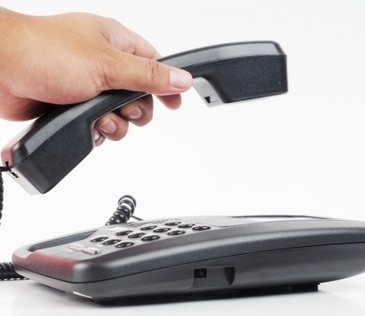 Call your local legislator and tell him or her to co-sponsor and vote in favor of SB 1302. The more local populations make their voices heard about this issue, the more they’ll drown out the voices of the local lawmakers who ignored them. All state senators and representatives will face enormous pressure from local governments that want to continue to enforce local bans. State senators and representatives will need to hear from local supporters who can tell them they aren’t in favor of these total bans and want safe access for all. You can find the contacts for your own local senators and representatives here. The message doesn’t need to be elaborate or detailed. Simply saying “I support Senator Lara‘s SB 1302 and safe access to cannabis,” should be enough. This’ll only take a couple of minutes out of your day, but could make all the difference in the world.